National Portrait gallery of Australia (National Portrait Gallery) is a large collection of portraits of prominent Australian and international artists, whose work has expanded cultural and historical framework, and whose lives stand out from the crowd and makes them the subject of little public interest. 4 December 2008, the Gallery is constantly in the building on king Edward Terrace, near high court of Australia, in Canberra. The collection was assembled in may of 1998 through 2008, housed in the Old Parliament Building and in the adjacent Gallery on the Square of the Commonwealth. Gallery on the Square of the Commonwealth focused on the demonstration of portraits, mostly of contemporary artists and also has a specific focus on the exhibition of photographs. 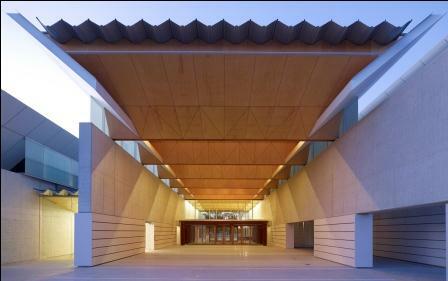 Permanent Gallery building is located in the Parliamentary Triangle, its construction is made of wood and concrete. In the National Portrait gallery houses the works of European masters of the past years, as well as mostly contemporary Australian painters. Collected here are the largest in the southern hemisphere, the art collection, which includes more than 70 thousand exhibits. The time range is enormous, from works by European old masters and paintings of the modern representatives of the school of painting of the Australian aborigines. Among the exhibited works include portraits as such recognized by old masters as John Webber, Hugh Ramsey, Thomas Clarke, and modern masters: Lionel Lindsay, Frank rotary, John Breck, eve Collins and Ivan Durrant. The Gallery also hosts regular art exhibitions. By the way, many of the exhibits in these shows belong to private collections and exhibited extremely rare. All galleries, café and shop are located on the same floor of the building. The national Portrait gallery is located on king Edward Terrace, in the parliamentary zone. Public car Park can be accessed via Parkes Place. Access to Parking is free. To reach the Gallery by bus from anywhere in the capital.